Providing services to the medical community for over 20 years! Our primary mission is to reduce your cost of ownership in providing high performance imaging systems for your patients. 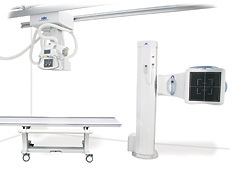 Western Diagnostic Imaging Systems provides custom tailored Digital Radiography and RIS/PACS solutions to meet equipment demands for all types of healthcare organizations. Western Diagnostic utilizes SmartSpaceDR (TM) technology for cost effective X-Ray Diagnostic medical imaging configurations. © Copyright 2006-2008 Western Diagnostic Imaging. All Rights Reserved.